Air Canada Rouge today released its Spring 2018 schedule which includes new nonstop service to Toronto from Kamloops Airport. This new service connects Kamloops to three of Air Canada’s Canadian hubs: Vancouver, Calgary and Toronto. Kamloops Airport generates $72.2 million in total economic output and supports more than 850 jobs in the community. The new service strengthens the airport’s contributions and provides opportunities for local residents, regional businesses and tourism partners to reach new markets. “We are very pleased to announce new, non-stop flights from Kamloops directly to Toronto to help make summer travel to and from the Thompson Okanagan area even more convenient. With more than 535 seats and up to nine daily flights next summer, Air Canada will be flying non-stop from Kamloops Airport to three of our Canadian hubs: Vancouver, Calgary and Toronto, offering the most options and unparalleled choices for vacation travellers to get to Kamloops and the Thompson Okanagan area. Additionally, customers from this area will have direct access to even more far-reaching destinations in our global network at our primary Toronto hub,” said Benjamin Smith, President, Passenger Airlines at Air Canada. The new service is a result of concentrated efforts to grow connectivity to the region, in partnership with Tourism Kamloops and Tourism Sun Peaks. “This new nonstop flight from Toronto represents tremendous opportunity for growth from the Ontario market. Ontario currently represents the fourth largest market for summer tourism in Sun Peaks. With the ease of a nonstop flight, visitors can leave Toronto and be in Sun Peaks in time to enjoy an afternoon in the mountains taking part in one of our many summer activities,” said Arlene Schieven, President and CEO, Tourism Sun Peaks. 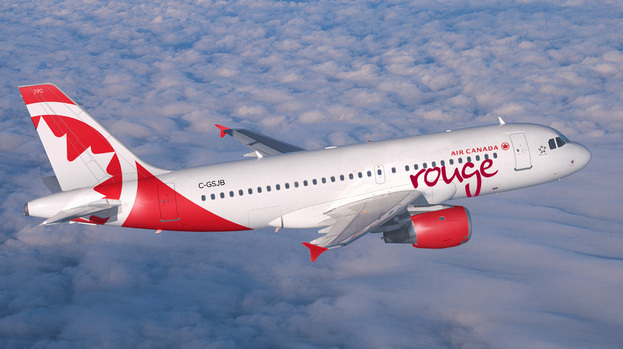 Air Canada Rouge’s Kamloops services will operate using Airbus A319 aircraft with 136 seats. The initial schedule is for three frequencies per week, per route, from June 2018 through October 2018, timed to connect conveniently with Air Canada’s domestic and international schedule. For more information regarding Air Canada Rouge’s new services or to make a reservation, visit www.AirCanada.com.